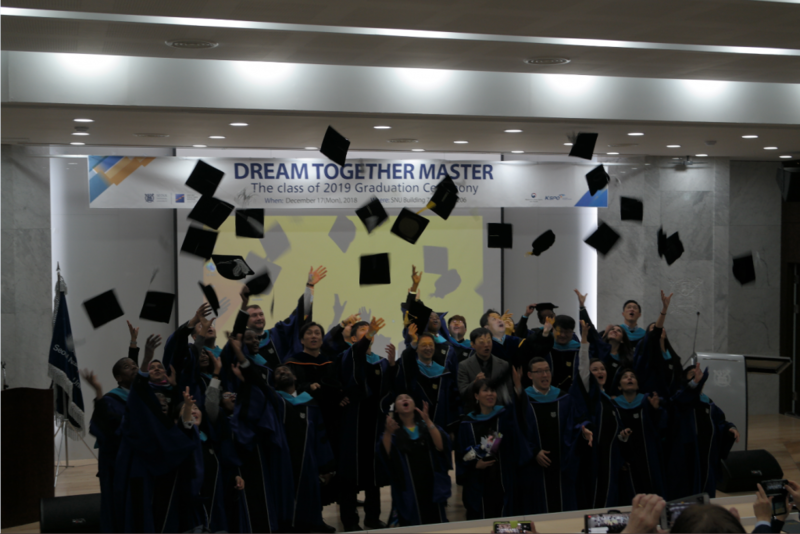 On Monday morning, DTM 5th batch graduating students took the stage at Seoul National University to receive their diplomas. 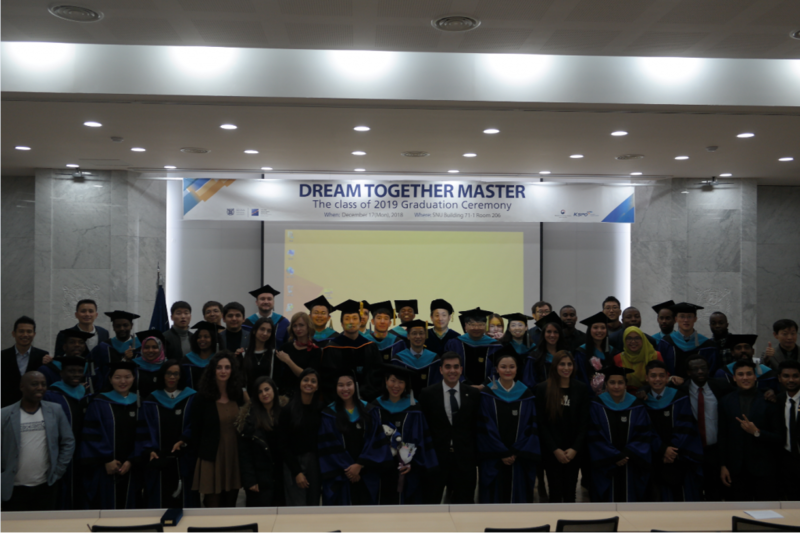 The commencement ceremony for the Dream Together Master class of 2019 was successfully held on December 17 2018 in the presence of professors, friends, family, 6th batch students, and faculty members. 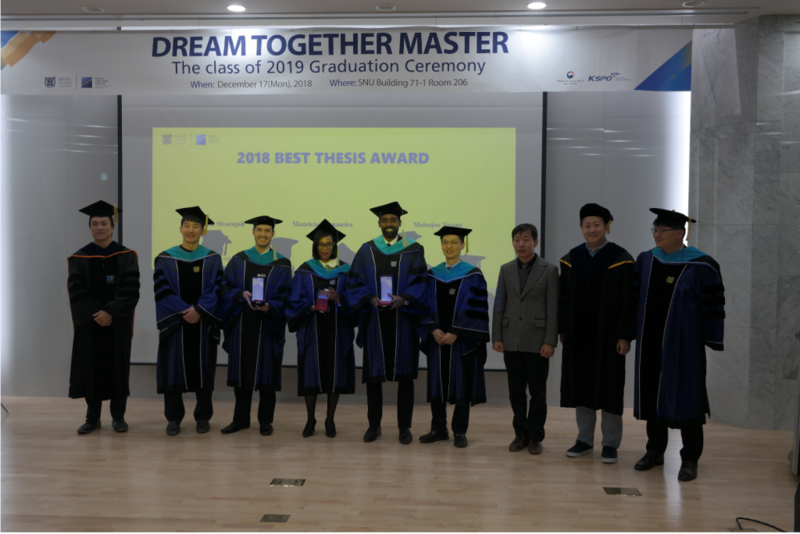 The ceremony is held annually to honor students who have completed the curriculum. 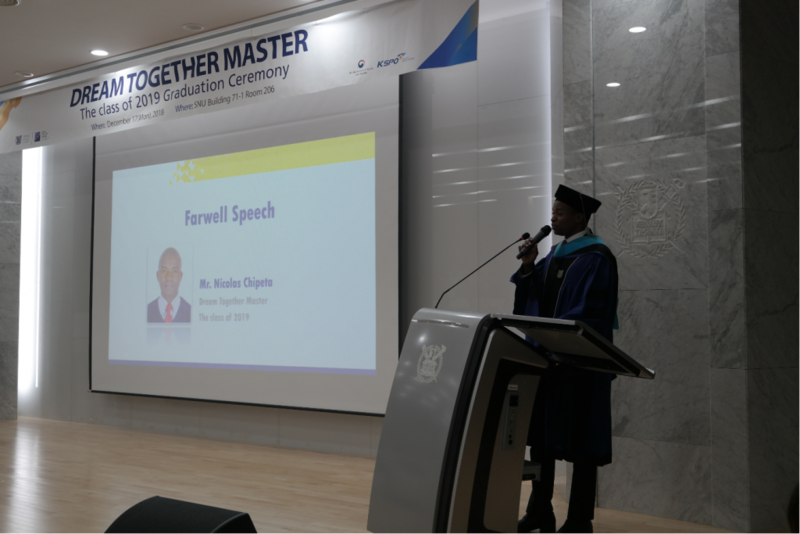 The ceremony began with Vice-Director of the Dream Together Master giving his annual speech along with other faculty speakers. After the touching speeches, the commencement came to and end after the students lined up to walk the stage and collect their diplomas.